In an incredible scoop, the Guardian‘s Martin Chulov interviewed a senior leader of ISIS— one who came up through the ranks with the group’s top leader Abu Bakr al-Baghdadi. The singlemost interesting quote from the ISIS leader, whom Chulov refers to as Abu Ahmed, is quite disturbing: he credits the group’s rise, in large part, to American prison camps during the Iraq war, which he says gave him and other jihadist leaders an invaluable forum to meet one another and to plan their later rise. 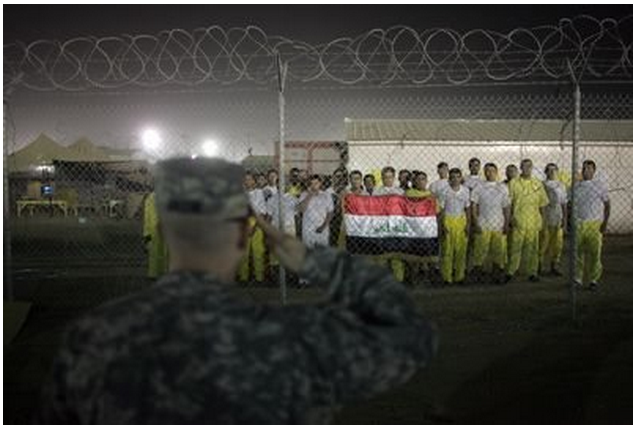 When they entered the US-run prison, Baghdadi and many of the others were members of small Sunni militia groups. But the organizing space allowed them to unify under the name al-Qaeda in Iraq (AQI), led at the time by Abu Musab al-Zarqawi. In other words: without the Iraq war and American prisons there meant to detain possible terrorists, ISIS as we know it wouldn’t exist.